At Navan Dental, our Implants are normally the best way to replace teeth that are missing, or beyond repair. Made of titanium, they are inserted into the bone, and once in position they are used to provide a stable support onto which to build replacement teeth. Mark graduated with honours from the Dublin Dental University Hospital, Trinity College Dublin in 2011. Following graduation, he worked in general practice for several years in Ireland. Throughout this time, Mark developed a passion for the field of Periodontics (the prevention, diagnosis and treatment of diseases affecting the gums). 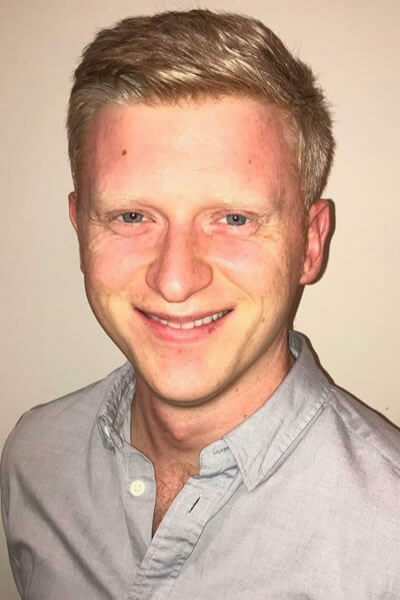 Mark then worked as a Senior House Officer in both Ireland and Scotland gaining more experience in periodontal surgery and dental implants. 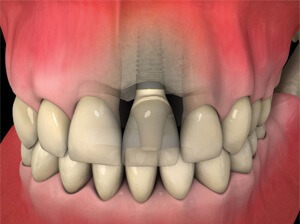 Do you need a Dental Implant in Navan? Book your appointment with Navan Dental on 046 9021203. 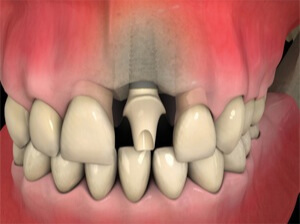 Why replace missing teeth with a Dental Implant? Not having all of your own teeth can really damage your self-esteem and confidence. Tooth loss can also affect how well you chew, and what foods you can eat, as well as changing your bite (the way that your teeth come together) which can lead to problems with your jaws. Implant supported teeth are the closest alternative to natural teeth, providing a long-term solution to your dental problems, often lasting a lifetime. Just like natural teeth, they allow you to eat all the foods you like, and are easy to keep clean. 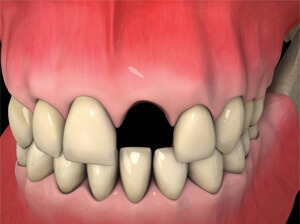 They can be placed without damaging other healthy teeth, unlike bridges. 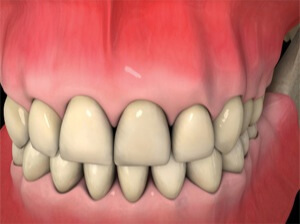 They are also fixed in place, and aesthetically, are more pleasing than dentures. Under a local anaesthetic a small cut is made in the gum, and a titanium screw is put inside the bone. It takes between 8 and 12 weeks for implants to fully integrate with the bone. Once the implant is fully integrated, a mould is taken to create a custom-made abutment designed for your tooth, after which a crown is fitted to replace your missing tooth or teeth. After an implant is placed into the jaw bone, it may either be restored almost immediately or it is allowed to heal for several months to become integrated within bone. After healing, a post is attached to the implant using a screw. A crown is then made to attach to the post. The crown is made using metal and/or porcelain and is made to closely replicate the shape and colour of the natural tooth. The crown is screwed or cemented onto the post. Implant therapy usually takes a few months and several appointments to complete, however, the final restoration can be almost like having your own tooth back! If you feel that dental implants are for you, then contact reception today at Navan Dental on 046 9021203. Something to make Mummy's and Daddy's smile! Reflecting our consistently high standards of patient care.